Employee safety perception surveys are one of the best ways to evaluate what employees think about the safety management systems in place. In order to obtain the results needed to enact change, companies must follow industry best practices for safety perception surveys. 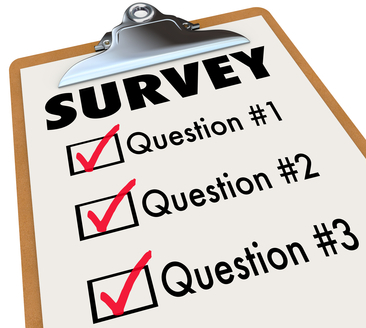 There are five key ingredients; determining the type of survey to conduct, the reliability and validity of the survey, which questions should be asked and finally, what do do with the information once it's obtained. External surveys are developed for a specific industry but can often be customized for the specific organization. The benefit is that the time and expense required is minimal. Internally developed surveys, on the other hand, can be complicated, time consuming and expensive to produce. Regardless of the type of survey, it must address the following: management’s commitment to safety, coworkers’ commitment to safety, effectiveness of safety-related training; and employee perceptions of their own participation in the safety processes. Both reliability and validity are important aspects of any employee safety perception survey. A reliable survey can be administered repeatedly over a set period of time and obtain similar results. That's not to say that employee perceptions cannot change, but rather that the process is repeatable. Surveys must be reliable in order to administer the proper changes and to avoid wasting time and resources. To be valid, the survey must address questions that are in line with the measurements that are desired. The questions asked must be easily comprehended by employees and pertain to the effectiveness of safety protocols as well as the perceived participation level of each team member. Broader topics rather than those that are narrowly focused are the best way to achieve the validity that is required. In order to get the answers you're looking for, questions must be carefully crafted in order to first be understood by the individual and then to provoke a meaningful and useful response. This must be done in a way that is not suggestive towards what the desired answer may be. Questions also must allow for a range of individual responses such as a scale of 1 to 5, or something similar. This allows for the detection of significant variations and allows for a more accurate measurement overall. It is of the utmost importance that employee responses to the survey are confidential and not used, in any way, to undermine their confidence in the organization or themselves. Rather, it should be used as a benchmarking tool to better understand the attitudes and perceptions of the safety program as a whole. Reporting the results and actions that will be taken is important to management as well as employees and ensures future participation in similar surveys. By incorporating these five key ingredients into an employee safety perception survey, management at all levels will gain a better understanding of what is working and what needs improvement. The results should be evaluated to determine what changes, if any, should be incorporated into the safety program.